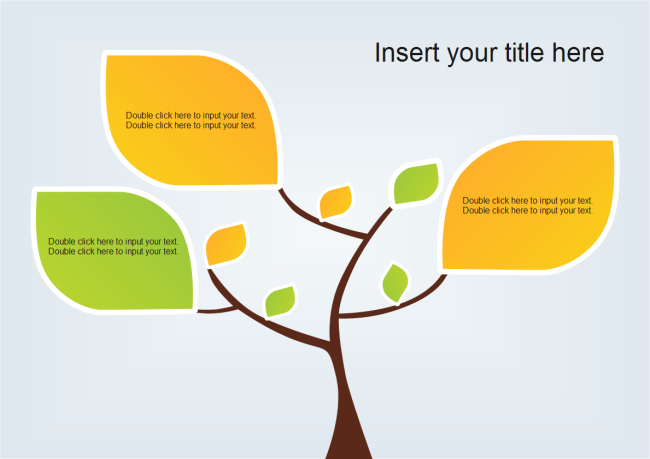 Description: This tree leaves PowerPoint template is full of vigor. You can use it to present related themes. Although you can find similar templates on the internet, but not all template materials are as flexible as this one. You are allowed to change shape size and colors, add more leaves, and change the background. Abundant and versatile 2D block diagram examples are assembled on this sharing community, which is downloadable, editable and customizable. Upload and contribute your own great works to benefit more users.